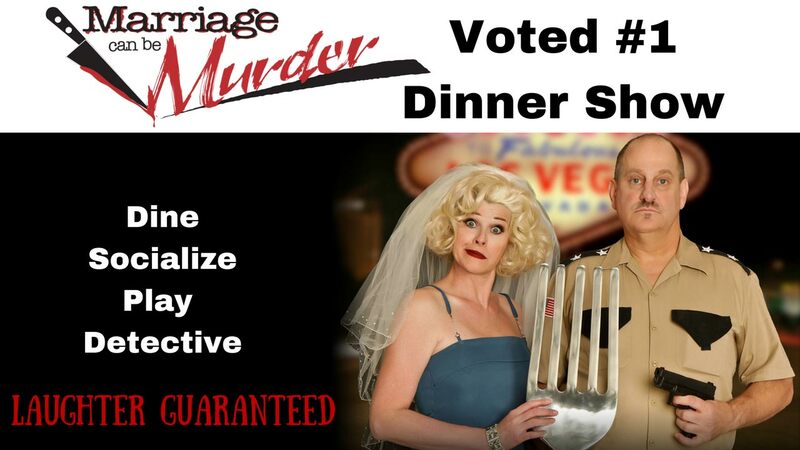 Marriage Can Be Murder Las Vegas is a killer Vegas dinner show. 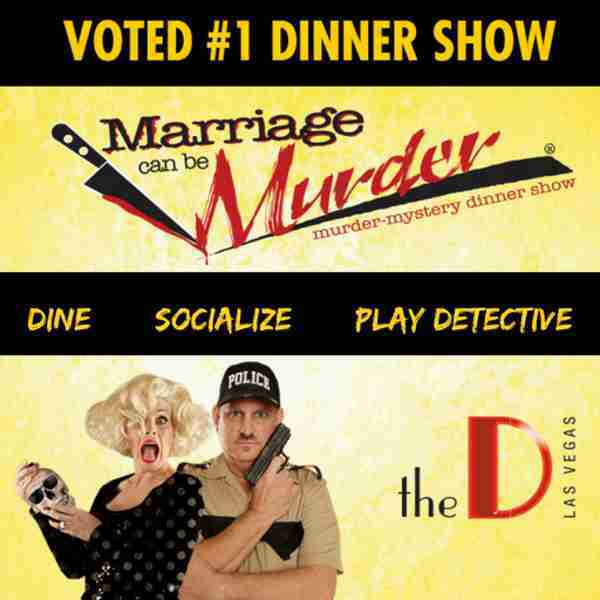 Marriage Can Be Murder is a hilarious interactive murder mystery where you’ll be served a full three course meal along with a full plate of entertainment… no wonder it’s the longest running Las Vegas dinner show. A fully interactive experience in which you’re invited to become part of the story, Marriage Can Be Murder is pure outright fun. You’ll be seated around banquet tables, as actors are secretly sprinkled in among the regular crowd to add to the fun. Ditzy and hilarious blonde bombshell DD serves as host and master of ceremonies to keep the show rolling, warming up the crowd with a series of zingers. If you’re interested in participating in the show more fully, you can be assigned a role, such as “pallbearer” or “doctor,” and you’ll receive extra clues that will help you and your fellow guests solve the murders once they start to occur. After the first unfortunate cast member is bumped off, short-short wearing and bumbling Lieutenant Eric Post arrives and the investigation is on. You’ll be given “sleuth pads” to write down clues, and once you finish off your main course, you can get up and mingle with the actors and other audience members as they work to solve the show’s four murders. Will the audience be able to figure out whodunnit before Lieutenant Post? Considering the character’s clueless nature, he’s certainly going to need all the help he can get from the crowd. The food is just as good as the fantastic Las Vegas dinner show itself, as guests are served a three course meal starting with a “Pre-Killing Course” of salad and a warm roll. The “Main Corpse” offers guests a choice of zesty lemon chicken, tender sirloin beef with mushroom sauce, spicy salmon, or a vegetarian option, all of which are served with a side of red potatoes and vegetables. The meal is topped off with a “Death by Sugar” dessert, a cheesecake covered in blood-red Strawberry sauce. Marriage Can Be Murder offers guests a great variety of deals as well, including the simple dinner and a show package with non-alcoholic beverages included, or the VIP Package, which includes wine, domestic beer and well cocktails. 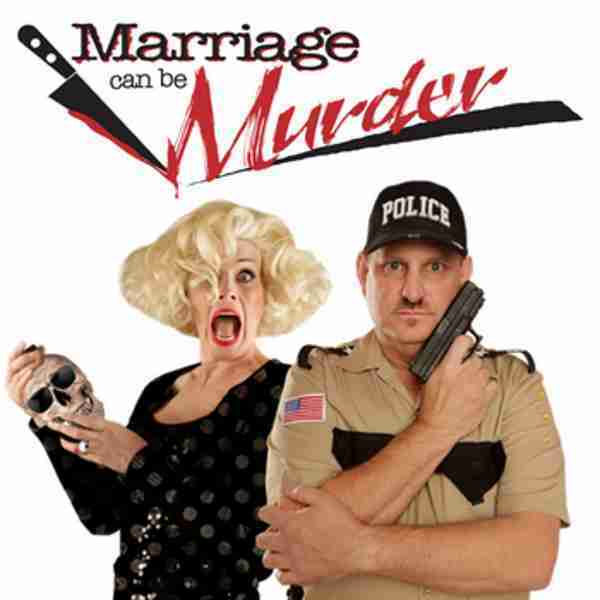 After more than a decade of delighting guests, Marriage Can Be Murder Las Vegas has been running longer than any other dinner show in town. Created by the husband and wife team of Eric and Jayne Post (pioneers of the interactive theater concept more than 20 years ago), who play the bumbling investigator and the buxom host. It’s a fun and hilarious whodunnit with a three course meal included, making it a hard deal to beat… in fact, you might feel like you got away with murder. This fantastic Las Vegas dinner show, now running at the D Las Vegas on Fremont Street, is still as fresh and funny as the day it opened.